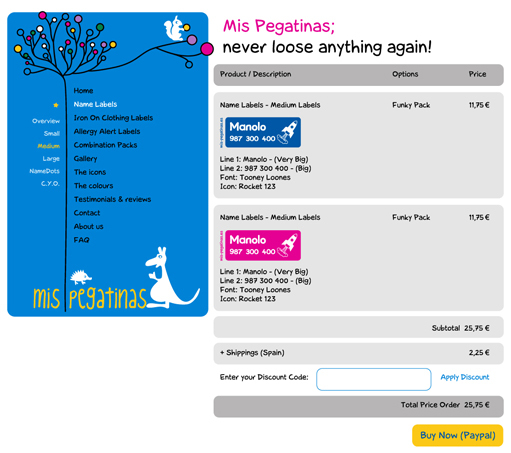 Ecommerce with online composer for labels. 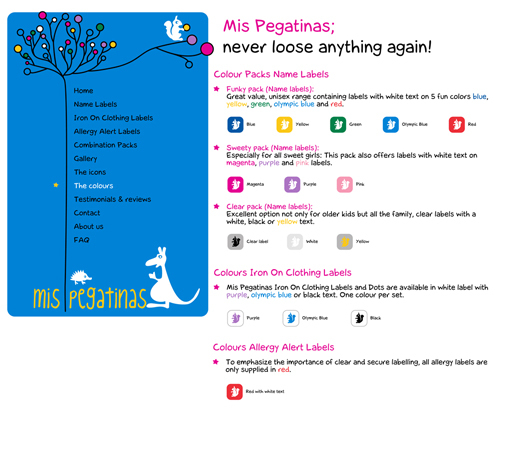 Design and development of a bilingual ecommerce website for an online sticker and label company. 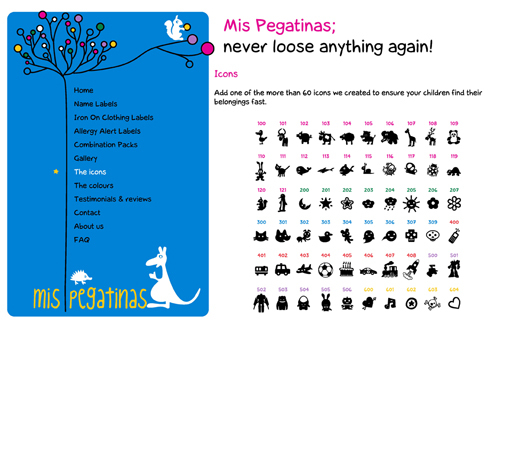 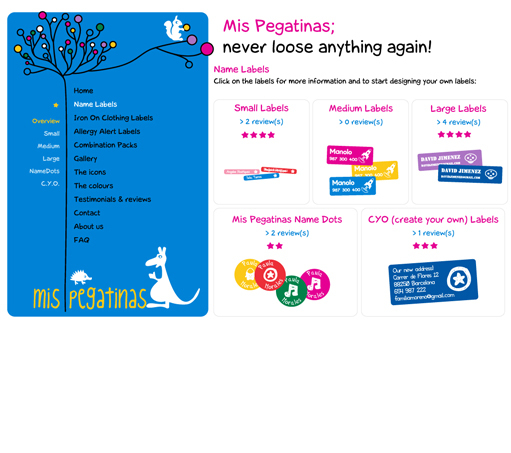 The labels are for marking the properties of children on school (clothing, school material, shoes, bags…) and can be composed online by the client, combining existing shapes, icons, sizes and colors.